My favorite thing about a sandwich, besides my intense love of bread, is that anything goes. You literally sandwich toppings of your choosing between two slices of bread, and eat. 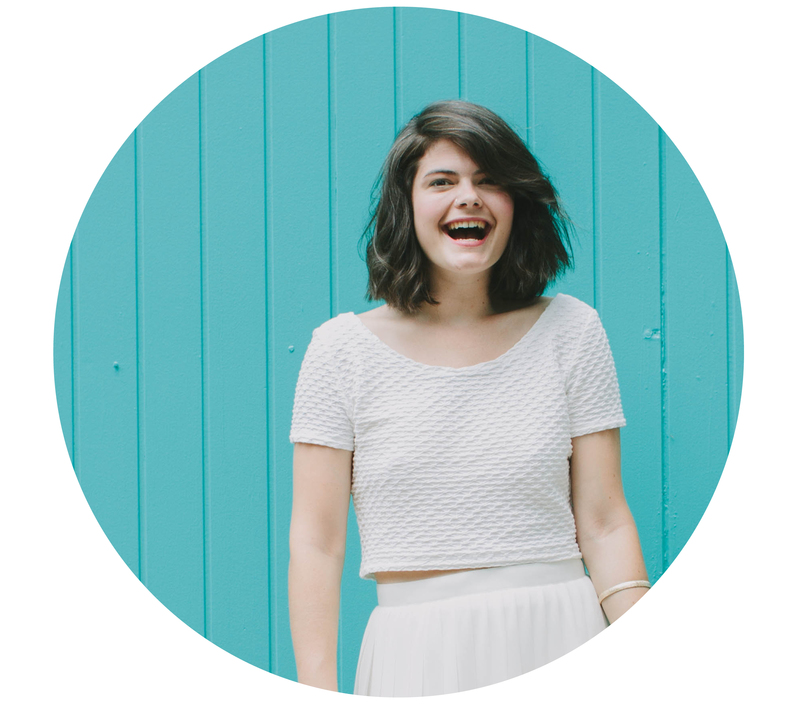 It almost can’t get easier – or more customized – than that. Lately I’ve been erring on the side of simplicity with my sammies. 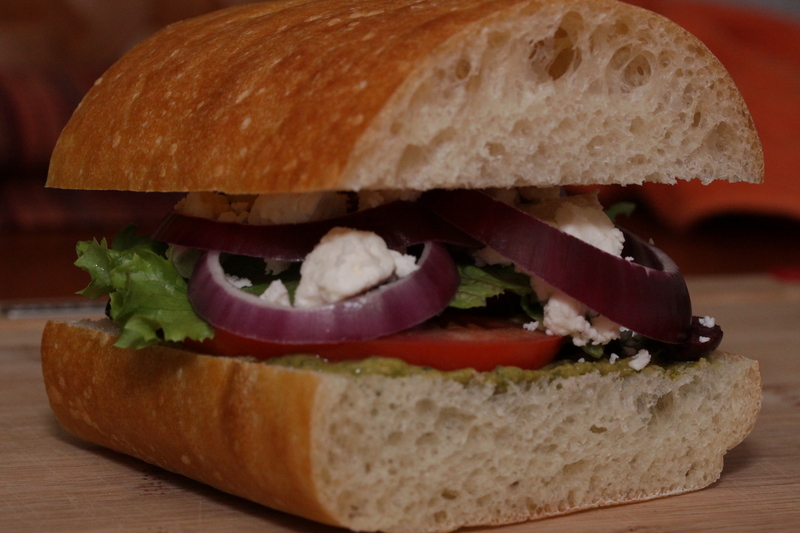 As a huge fan of saltiness, I took the fixings for a bowl of Greek salad and piled them high on Ciabatta bread. The result is a hearty, but not heavy sandwich that mixes classic ingredients with a cilantro jalapeno humus for just the right amount of kick. I call this the Ariba La Grecia. Layer each ingredient, one on top of the next, until you’ve got a high stacked ready to eat greek salad sandwich. With a whole loaf of Ciabatta to get through, I opted to share two recipes. As a child, we traveled quite a bit around Southern England. One trip in particular took us to Cheddar Gorge, the home of the infamous cheese. Tasked with feeding three small children, my parents always packed picnics with sandwiches as it was generally the easiest. Never quite this involved, there was typically a cheese base (a sandwich staple if you ask me!). Using a sharp white cheddar, I focused on a more fall inspired taste. 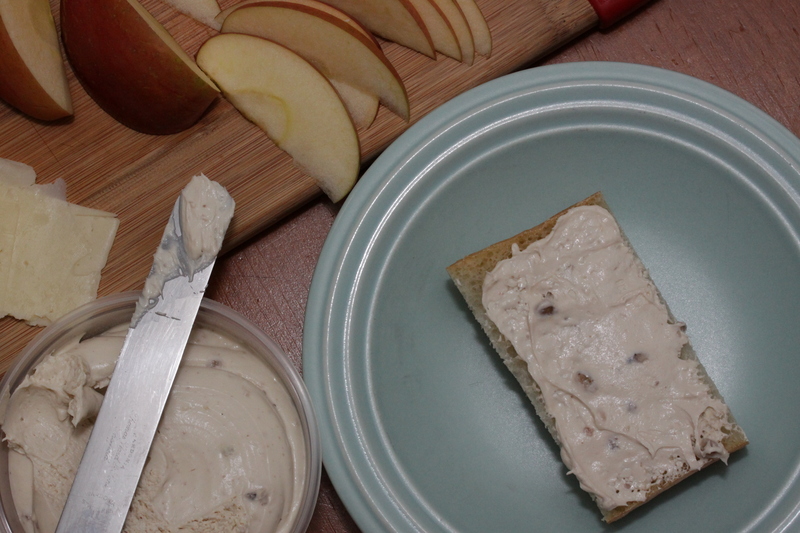 Apple, nutmeg, and a nutty cream cheese combined to balance the bitter and sweet. 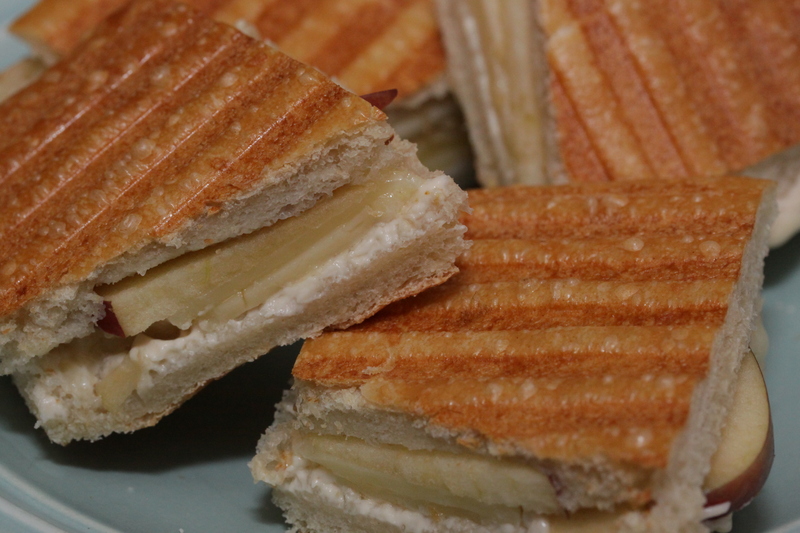 Spread cream cheese on Ciabatta, layer with sharp white cheddar and apple slices, sprinkle with freshly grated nutmeg. Press the sandwich in a panini press for three minutes. Cut in half, and enjoy! I was recently reminded of how great sandwiches can be when I caught wind of the Panera Sandwich Showdown. Think you’re recipes are better than mine? Think they are the best in the country? Show it! Sandwich enthusiasts across the country now have the opportunity to put their sandwich-making skills to the test in Panera Bread’s Sandwich Showdown contest. The event gives amateur chefs, bread connoisseurs, and fans of culinary creativity throughout the country the chance to have their homemade concoction named the best sandwich in the U.S.
Now through October 6th, you can submit your own sandwich recipe for a chance to win $10,000 cash, $500 worth of Panera Bread gift cards, free Panera bagels for a year and will have their sandwich on the menu for a limited time at participating Panera Bread bakery-cafes in the United States! Just visit the Sandwich Showdown to build your masterpiece – and get the chance to tell the story behind your tasty concoction. Need some sandwich inspiration? Find tons of it here! And finally, we’ve got a Panera Bread gift card giveaway! Three of you will be getting a $15 Panera gift card. So, here’s how: Leave a comment below telling me your favorite sandwich ingredient (cheese, cheese, cheese!). For extra entries, you can tweet “Enter the #SandwichShowdown for a chance to win culinary bragging rights and $10k plus prizes from @panerabread. http://bit.ly/SUbmnb cc: @cityjars”. Just make sure you come back and tell me in the comments below that you’ve tweeted! Contest ends Friday, October 5th at 11:59 pm. Winner will be announced on Monday, October, 9th. 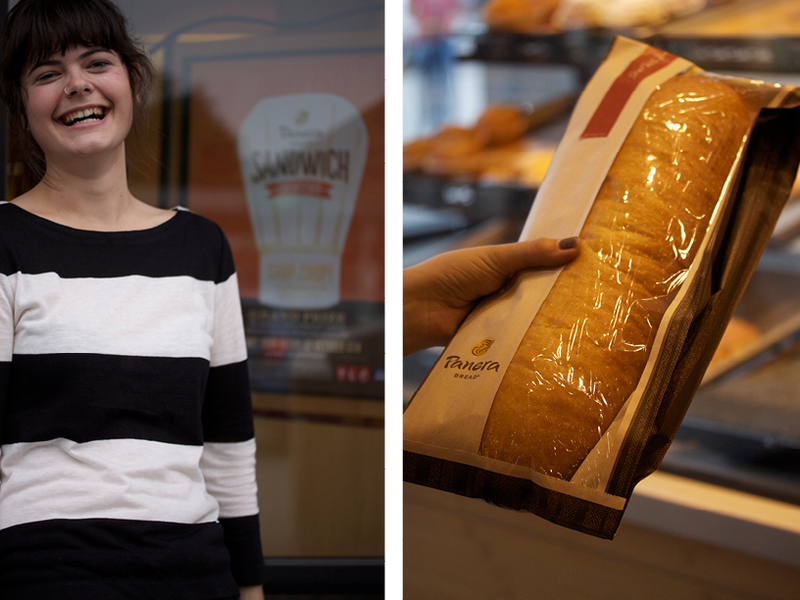 Looking forward to hearing about all your favorite parts of the sammie! I wrote this sponsored post in partnership with Panera, in order to spread the word about Panera Bread’s Sandwich Showdown contest. Thanks, Panera! I love tuna salad sandwiches with tiny chopped celery, lettuce and tomato. So many giveaways lately. You gooo girl. Nothing better than a sandwich/salad combo. I tweeted. Also, my fave ingredient is adding dill. i love a good kalamata olive addition! or banana peppers!